With the rough introduction from previous post, I’d like to elaborate the project I did over the summer and past two weeks. Started in July, me and other four college students putted our hands on the planning of a Credit Investigation System which is a system that helps banks to determine a specific person’s credibility when banks are asked to lend money to he or she. In the traditional Credit investigation system, the credit degree is mainly depended on the evaluation of the combination of users’ occupation, family situation, social relationship and other elements. Our team, however, decided to cut into users’ daily consume from analyzing their location information and the location’s average cost, and then build the credit system from those analyses. Because, we believed, one’s daily consumption could effectively reflect one’s consuming ability and, correspondingly, one’s loan repayment ability. The estimate target customers of our project are banks and private organizations that need relevant data to manage their potential customers (like Alibaba or Tencent). Basically we are selling data and the way to manipulate data. The system is called TraceCloud. With those weights, we were allowed to roughly compute the credit degree of a person based on his or her dinning manner and frequent dinning location. 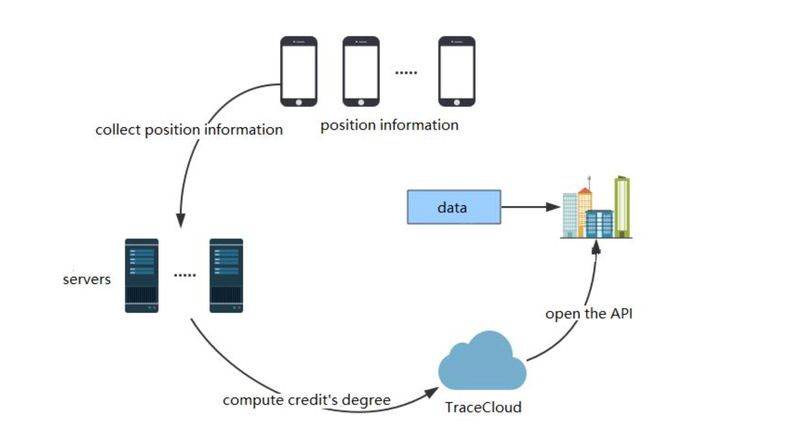 This project opened a relative new way for me to start a project since TraceCloud is a product that need many data to support its operation. Used to be a person who played around database, I discovered during the project that I was actually lack of many knowledge in data managing and researching. Hope during the time when we start running the product and collecting enormous data sets, I can learn more about database. This is what I have for this week. Citation: No work cited. All images are from the real project. This entry was posted in Math and Technology and tagged westtown school on September 20, 2016 by yanwenxu. Is this information your program needs normally given to banks or would people need to provide it? Coming off of Tom’s question; how do you ensure this data is correct? As most of us learned in the wake of the 2008 Finical crisis a little change can lead to big issues. While updating location information frequently along with newly released information from the government and gaode map which is a widely used mapping system that has a contract with us and constantly provides updated information to us, we will keep running script to test the adjusting value in our credit computing algorithm doing adjustment while needed and make sure it’s appropriate to current finical situation. There is another function for us to increase or decrease a person’s credit. Completely out of curiosity, what is the process of obtaining location information from target users? Would there be any legal issues? Have you tested your algorithm against more traditional means of measuring credit worthiness or determining credit scores such as those used by Equifax, Experian, and TransUnion?